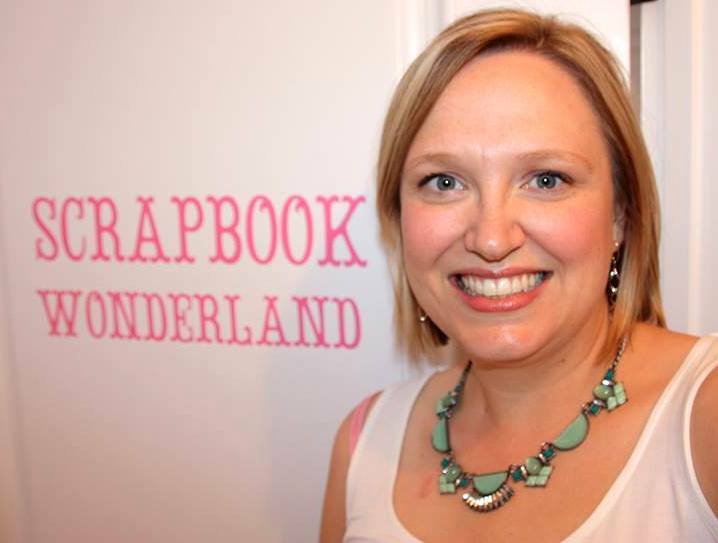 This week, on the Live Inspired podcast, my good friend, Alice Boll, and I are discussing what to do when you lose your motivation and inspiration for scrapbooking. Alice, owner of the Scrap Happy group and leader of the Layout a Day project, also shares info about her community and what it's like to do a Layout a Day several times per year. This show is chock-full of great information so grab a pen and paper to take notes! As I'm sure you could tell by our talk, Alice has infectious charm and true joy that makes me happy. She's just one of my favorite people in the world. She sets the tone for the group she leads as it is also full of charming and joyful people. It was a delight to meet some of them in person this summer. If you'd like to find out more about becoming a member of Scrap Happy, click this link and don't forget to use the code "family" at checkout to save 20% off your first year of membership. Here's a link to Alice's Blog: Scrapbook Wonderland. 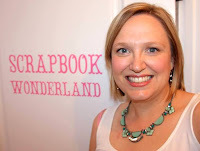 If you'd like to check out the Scrapbook Improv she mentioned, here's a link to that. It was Alice's first time doing Improv and she has a lot of ideas to tweak it and make it even better so I look forward to seeing what she comes up with! During the show, we talked about two LOAD prompts that Alice made pages for. Here's the first page she made with the prompt, "Thank goodness my fairy godmother didn't grant THAT wish!" This prompt was for a special LOAD for International Scrapbook Day so if you'd like to check out the prompt and video for it, click this link to get an idea of what the February and May LOAD prompts look like. Love it! I'm so glad Alice isn't 6' 6". My neck would hurt from looking up at her. haha! 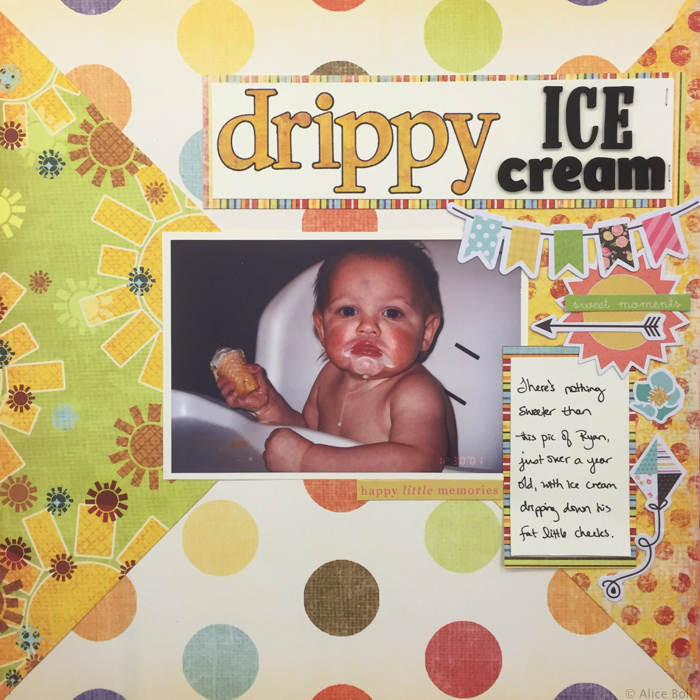 Here's the other layout we discussed from the prompt, "Loving the taste of summer." Love the design of that one. I'm actually working on something similar right now! So as you can see, the prompts from Layout a Day are inventive and fun. If you would like to be more prolific and have fun doing so, be sure to check it out! I hope you enjoyed our show full of tips for how to stay motivated and inspired with your scrapbooking. If we failed to mention a favorite tip of yours, please leave me a comment and let me know what it is! So cute... Extraordinary article, And likely incredible configuration tips to build comments, yet by and by I trust that individuals remark just when the substance is truly useful, and the comment framework is easy to utilize. I am working for an online, it provides best essay writing service for customer. 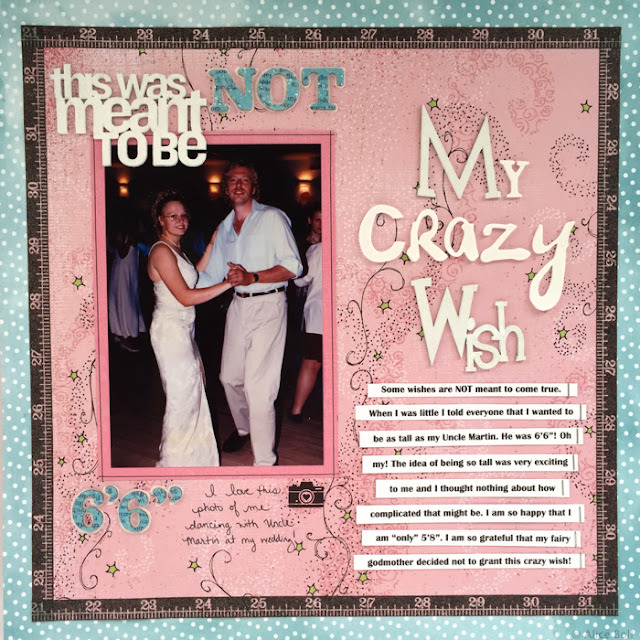 That's a really good scrapbook design! Pictures are very important, especially in our family. That's our way of keeping memories and remembering special events. There are lots of fun times that can only be kept through pictures and that's why we try our best to preserve any photos that we have. I will try to create my own scrapbook too and I will make sure to have many colorful designs on it. If you are looking for resume site reviews then just feel free to take a visit okay? It's very helpful.